Researchers looking at keeping sea lice numbers down by using increasing layers of preventative measures have reported interesting results. 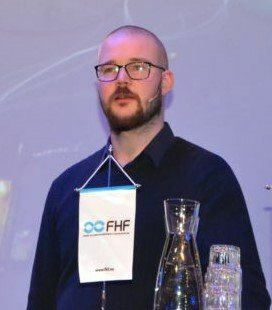 Marine Harvest R&D and technical group manager Henrik Trengereid leads the Fisheries and Aquaculture Industry Research Fund (FHF) project “Drug-free Control By Combined Measures”, which has been examining different combinations of preventive measures against lice. 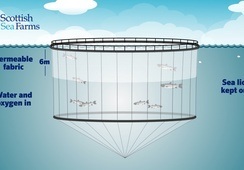 The experiment is being conducted by and at the Centre for Aquaculture Competence (CAC) site in Vindsvik, Norway. CAC was formed by Marine Harvest, Skretting and AKVA group in 2003, and is still the world’s largest full-scale research centre for Atlantic salmon. Cleaner fish, continuous use of functional diets, underwater feeding and underwater light, and lice skirts have been tested, with the preventative measures added one by one; from only cleaner fish in the control group to five simultaneous measures in the most protected group. The trial has been taking place through most a production cycle, and will last until the second quarter of 2018. “The goal was to investigate if several measures used simultaneously gave us progressively fewer lice and fewer treatments,” explains Trengereid. Throughout the experiment, researchers have seen how the measures affect, among other things, lice numbers, fish welfare and fish performance. “We have achieved several interesting results. The group with the most 'layers' of prevention experienced lower infection with new lice throughout the observation period, and particularly since the summer of 2017. We have also seen almost unusually low pen-to-pen variation regarding new infections in the triplicate group with most protective layers," adds Trengereid. However, they observed a mismatch between the number of newly infective lice (copepodid and CH1 and 2), and the number of larger mobile lice (PA2 and above). Trengereid cannot offer a definitive explanation to this observation. “There is likely a relationship here that has evaded us: Our hypothesis is that the observed mismatch relates to the interplay between fish behaviour, environmental conditions, how the preventive measures impact conditions in the pen, and also to cleaner fish efficacy. More knowledge is clearly needed. "We have already planned a follow-up to this experiment in the next generation at CAC, in a project we call ‘Environmentally determined prevention against lice’. Here we have replaced the Gregorian calendar with an “environmental calendar” – the combination of preventive measures active at any given time will depend to a large extent on the prevailing environmental conditions (temperature, salinity and oxygen). 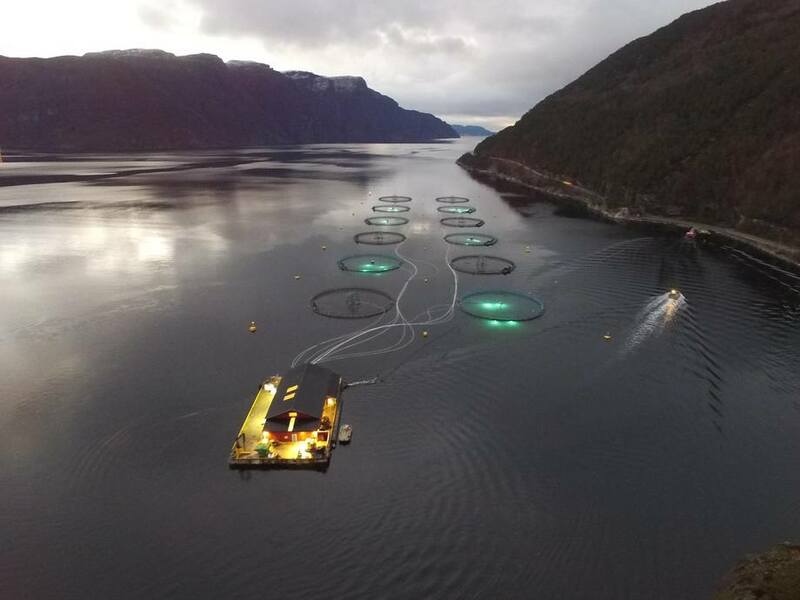 Trengereid says that they are awaiting approval to run the follow-up trial from the Norwegian Directorate of Fisheries, which should hopefully be a formality when the trial is of such importance. He notes it is essential to have R&D facilities like CAC, where researchers can take such discoveries further into new full-scale trials. 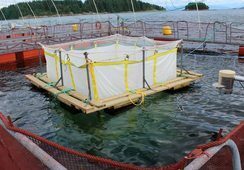 Referring again to the ongoing trial, he adds that they have not seen any differences in fish welfare between the different groups, and that this was in line with their expectations and indications from earlier trials. Trengereid believes that the solution will be to use different combined measures through different seasons, as environmental factors and seasonality appear to impact efficacy of preventive measures. “We must realise that there is no universal full-year strategy, and that you must adapt your strategy to both the site and season. This is precisely what we will do in our follow-up trial that kicks off in April. It will be very interesting to see if we can replicate the low level of new lice infection, and moreover if this in turn will result in a lower number of older lice. It is solely the older lice, and specifically then adult females, on which the farmer is judged. So, this is important knowledge to have,” he says.